We received the most amazing support from the Philadelphia DJ and local business community. Still can’t believe how truly awesome this lineup is…. The 2014 Electronic Music Marathon was a SMASHING SUCCESS. This was our 11th year of the EMM after 7 years on hiatus, and my first year involved in the event. Before I get into this post, I want to give a big shout out to one of my radio inspirations – Jenn Louie. For many years, Jenn had an amazing house and electronic show on KDU called Foundation, and organized many of the previous EMM’s. Some of my first beat matching and set building lessons were from watching her mix using our cruddy CUE speaker and CD players with rudimentary pitch controls. I’m so honored that I got to pick up the history of a 10 year event, and continue the tradition of connecting Philly DJs of all kinds through electronic music. 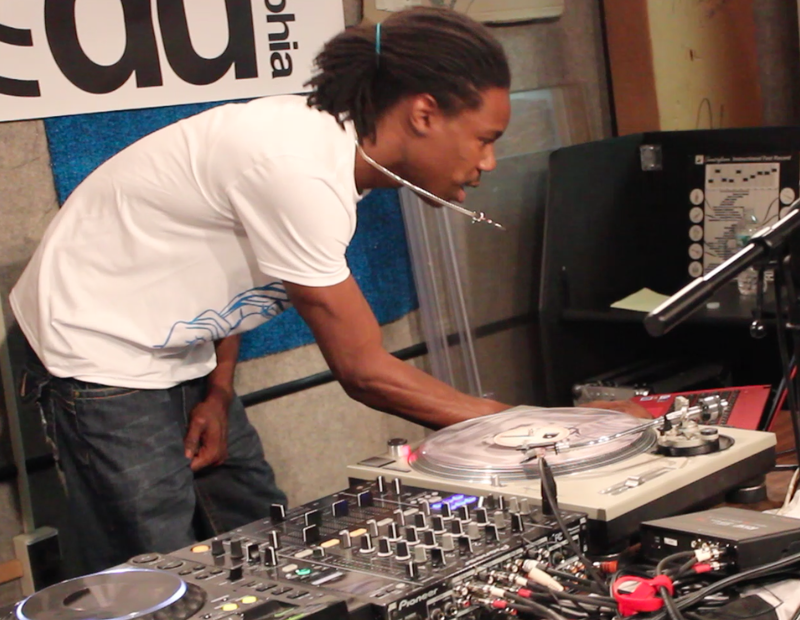 King Britt is an EMM alumni, and came to our studio on Monday for the final day of the marathon. 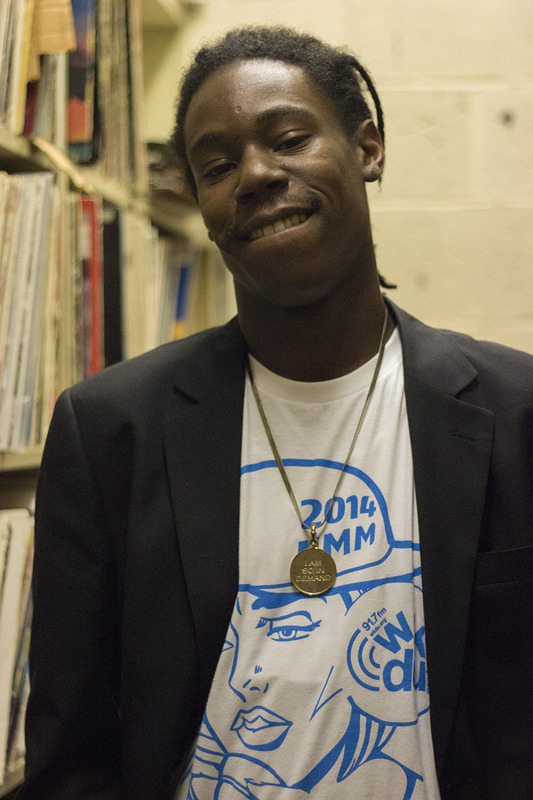 He ended up doing 2 completely different DJ sets, and also gave us the WORLD PREMIER of his project with The Village of Arts & Humanities: Plackback Musik. Part of me wants to just dive in and rave about how RAD everyone’s sets were, but I’ll have to do that later when we get all the audio sorted to go with. We have one caller who ALWAYS calls our station to say hello. I’ll be in the mix on my show, see his name come up on the caller ID, and then get a little grin on my face. I know that he’s going to suggest some rave track for me to check out, or talk about how I should check out this particular Kung Fu movie (not even kidding), or mention how another DJ earlier in the day was killing it. He damn well knows his house music – but when I talk to other KDU DJs, they also tell me about how he knows his jazz, his psych-rock, and so on. His support of the entire KDU DJ roster is really amazing, but his main message is even more awesome. We refer to this caller as SPREAD LOVE, and have taken his message to heart. I TRULY believe that the Electronic Music Marathon SPREAD LOVE through ALL kinds of electronic music this past Columbus Day Weekend, as we rocked the airwaves for 75 hours of CONTINUOUS ELECTRONIC JAMS. From electro to disco, boogie to gritty, Italo to techno HOLY MOLY the 2014 EMM DJ lineup absolutely KILLED their sets. 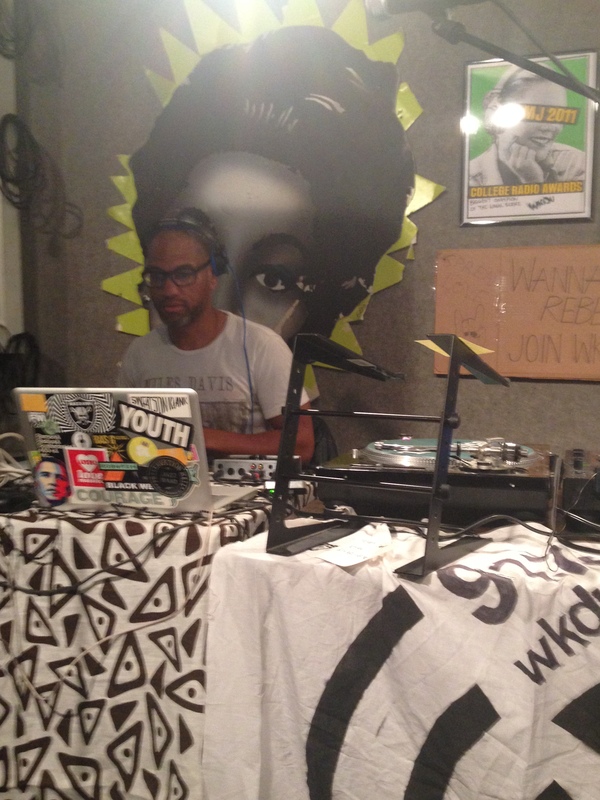 From talking with King Britt about Sun Ra, to chatting with Billy Werner about how he went to high school with Ron Morelli, to hearing about how Dave P spun at KDU to promote his first ever Making Time – our studio was BLESSED with the energy of some truly amazing DJs who donated their time and resources to make this a SMASH. We received the kindest words from Dave P, who is definitely one of the RADDEST DJs around. He posted this photo from his closing set of the EMM on his Instagram and really blew me away with his words…. We can’t thank Dave and everyone else who helped us out enough!!!! DAVIDE, come back with those Italo records ANYTIME!! 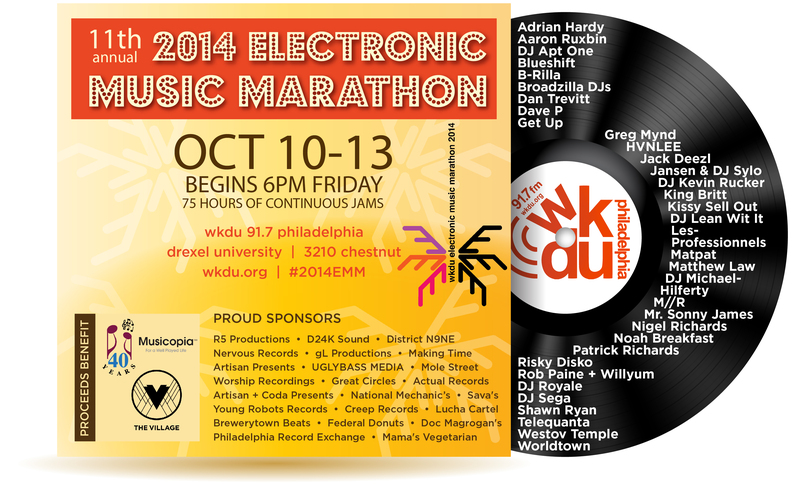 Go to wkdu.org/emm to find out how you can donate and support three amazing causes.